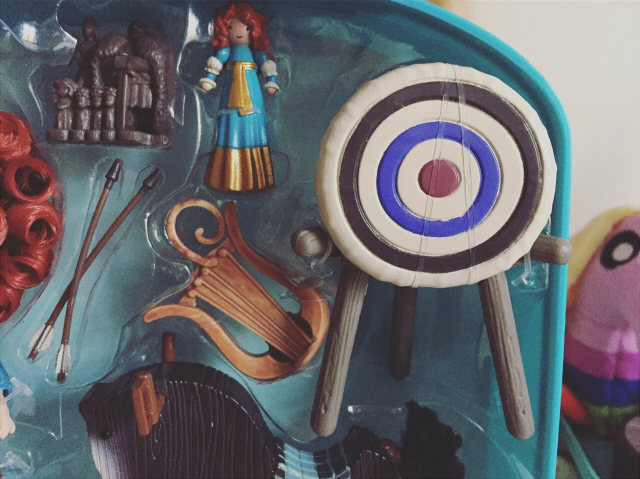 Welcome to today's edition of my Toys 'n' Stuff series. 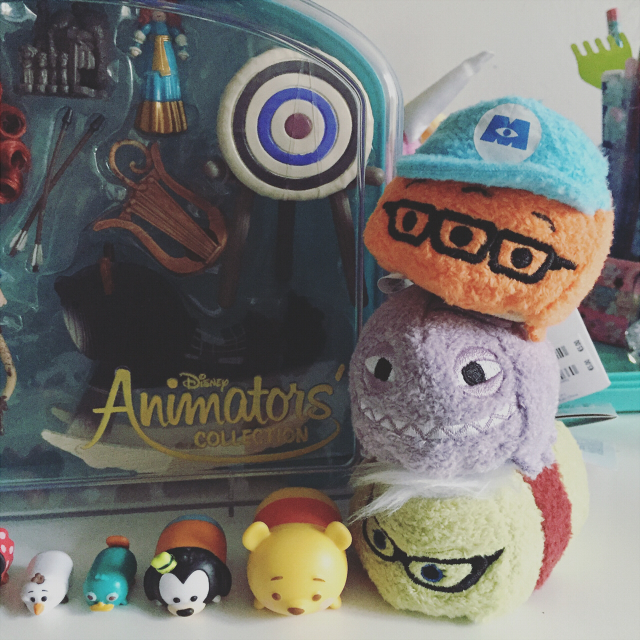 It was going to be a Disney store mini haul from when I was in Belfast a while back. 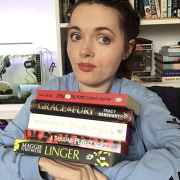 You may remember I already posted my Primark haul from that trip. 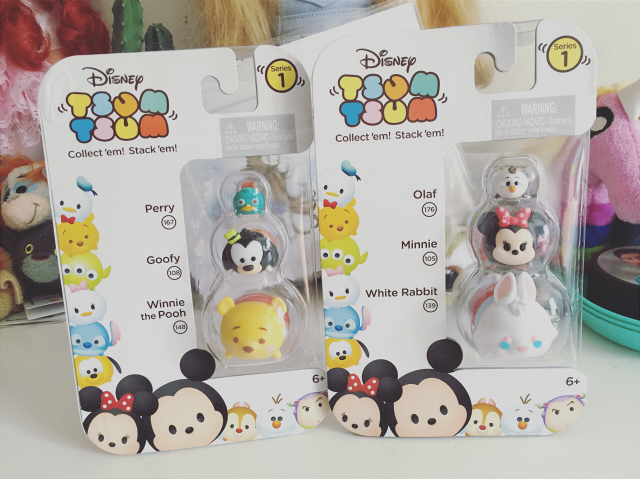 However, I ended up finding some new Tsum Tsum figures in Tesco and decided I would include them in the haul too. 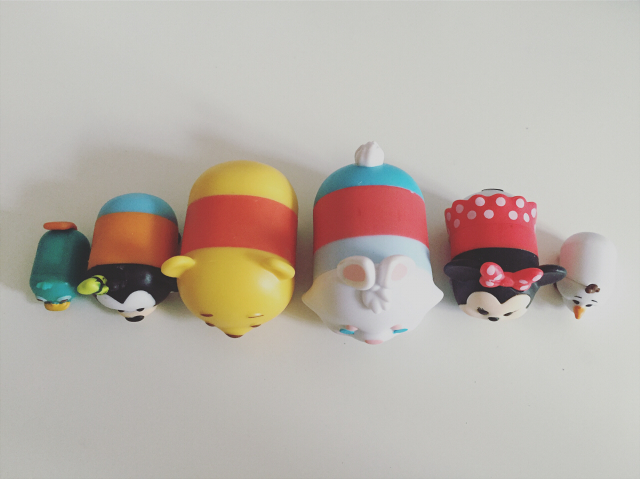 For a long time I've been bemoaning the fact the only Tsum Tsum figures I could get my hands on where the rubber ones. 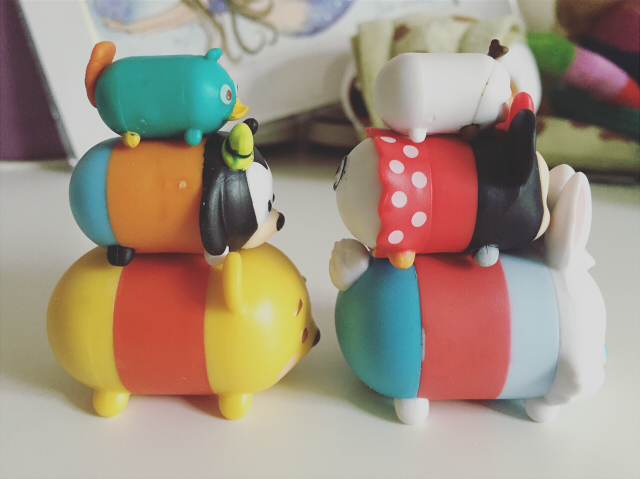 They were cute but I'm not a big fan of rubbery figures as stuff sticks to them a lot and the paint detailing tends to be rubbish. 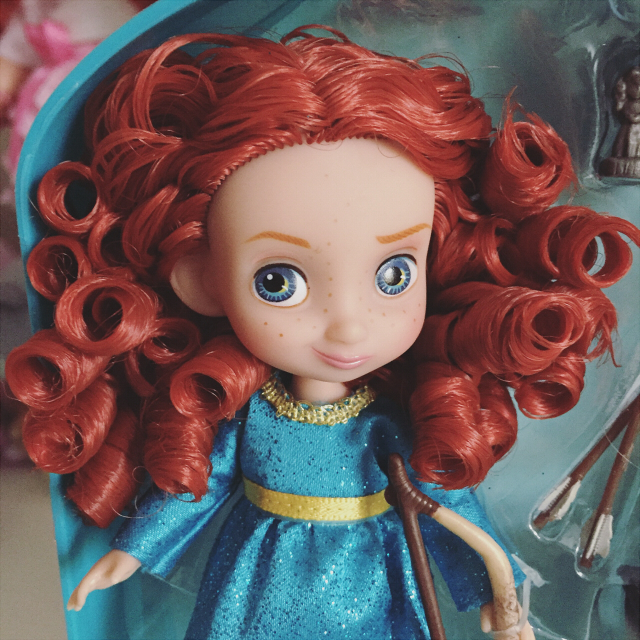 The American toy YouTubers I watch collected hard plastic figures and I just couldn't understand why that line was not available in the UK. Well, I must wonder no more! They are finally available. They only had these two packets left in Tesco and they were priced at £5 each. A bit more expensive than the rubber line, if I remember correctly. Unlike the rubber line, these come in three different sizes. I'm a sucker for anything teeny tiny. 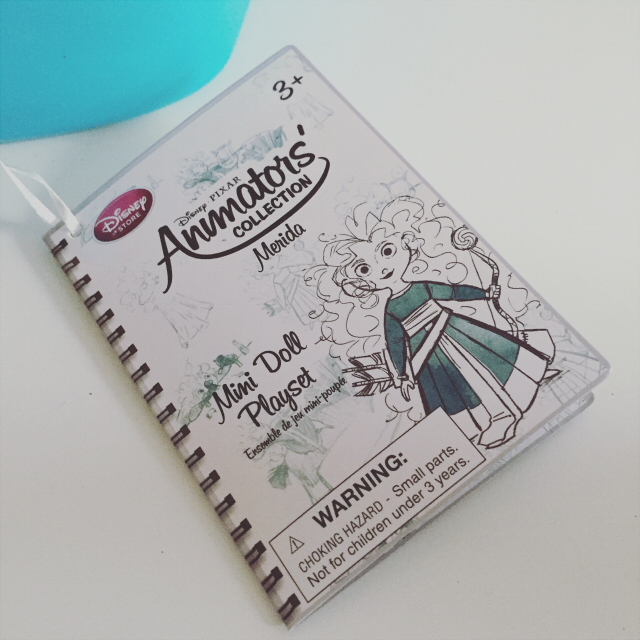 Along with the figures you get a collector's guide so you can see what figures are available and take off who you have. I'm really trying to be good with my money right now but I really hope I can get more of these at some stage. 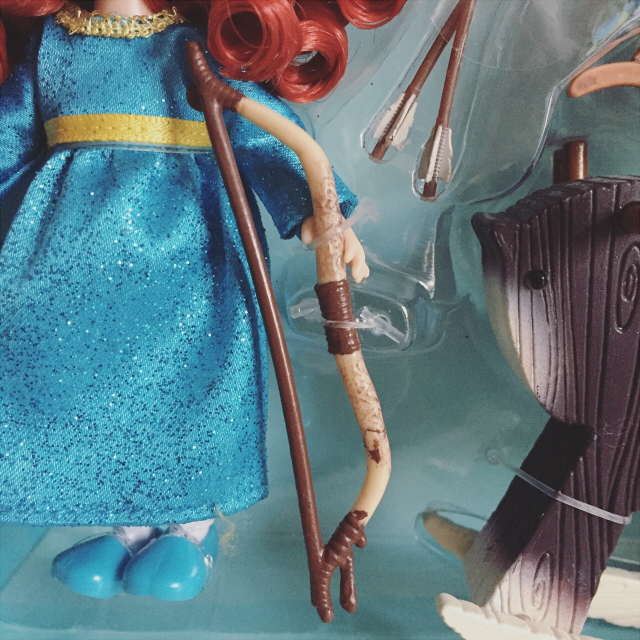 I particularly want Gus from Cinderella. 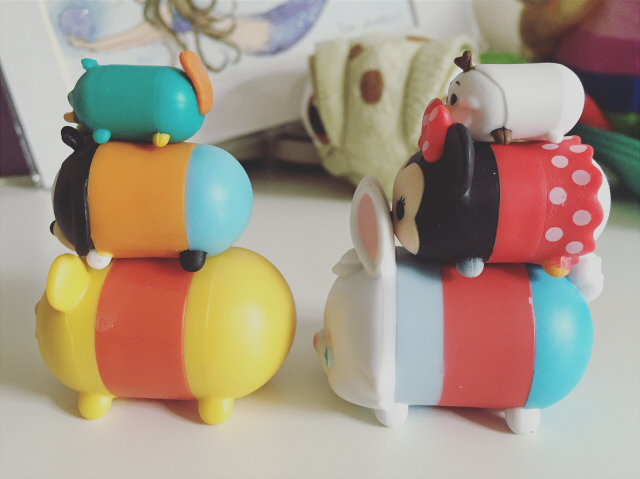 I've seen some people have issues stacking some of the figures but the two packets I got stacked pretty well. You can also see from the photo below that the bigger figures have nice paint detailing but the smaller figures are a little hit and miss. Usually I would look through packets and pick the one with the best paint job but as these were the only two packets left in Tesco, I didn't have that luxury. In the photos below you can get a better look at the paint detailing. 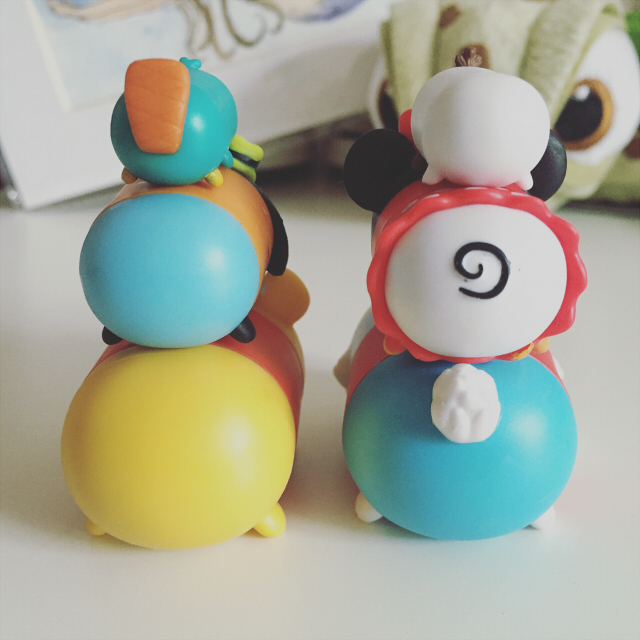 I thought you may be interested in seeing the difference between the rubber line and these ones. 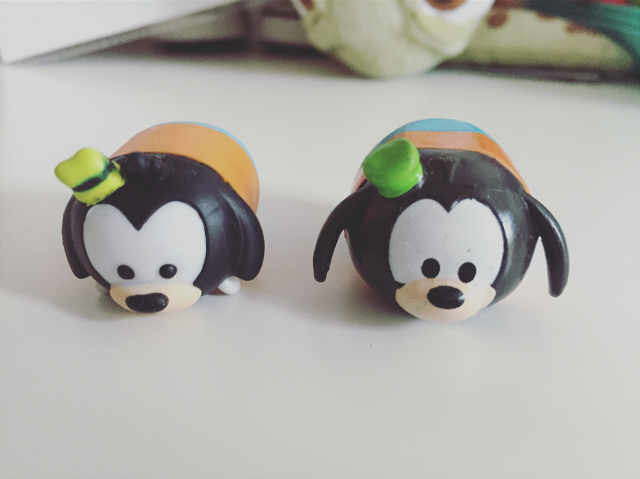 I actually have Goofy in both so I thought they would make a great comparison opportunity. The medium size is pretty close to the the rubber ones, which are all the same size. I find the hard plastic sculpt just looks a lot cleaner and I personally just prefer them. 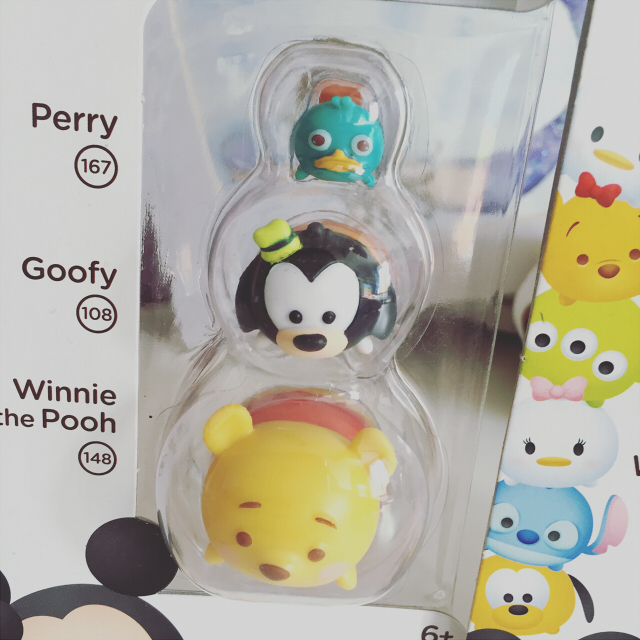 I also thought you might be interested in seeing the rubber Goofy compared to the large figure and the small figure. 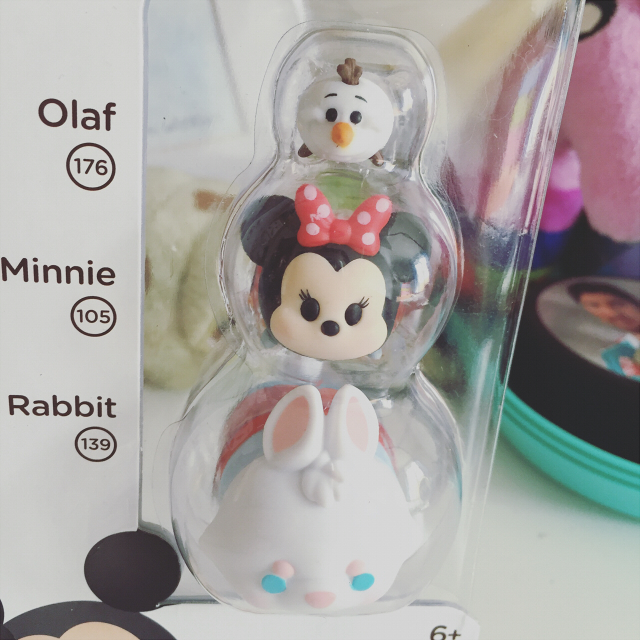 Out of all the figures I got my favourites are White Rabbit and Minnie Mouse. I can't wait to get more in the future! 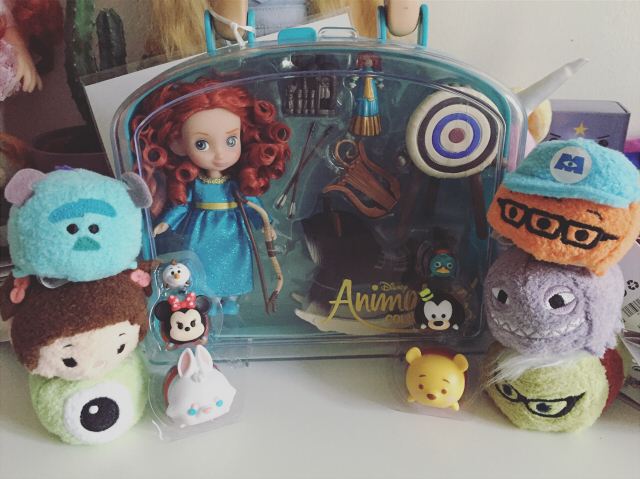 Now on to what I got from the Disney Store while I was in Belfast. 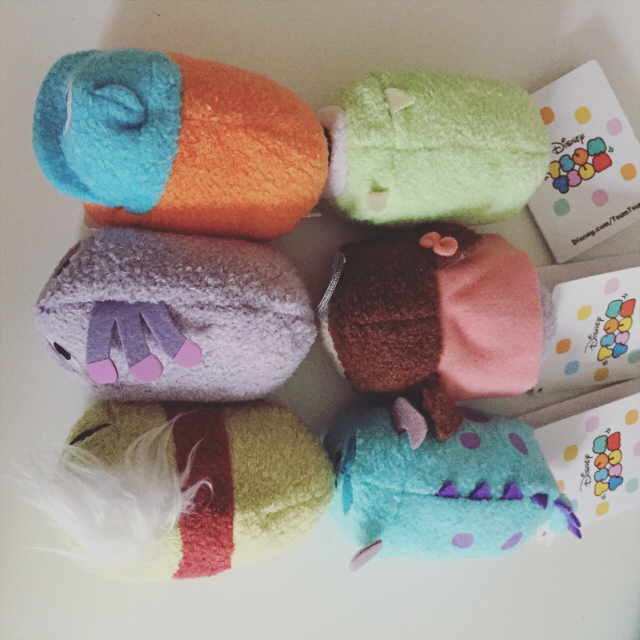 More Tsum Tsums! 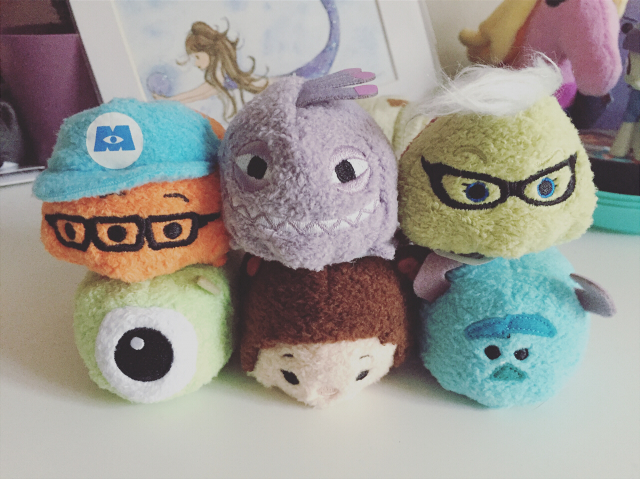 When I saw the Monsters, Inc range I just had to have them all. 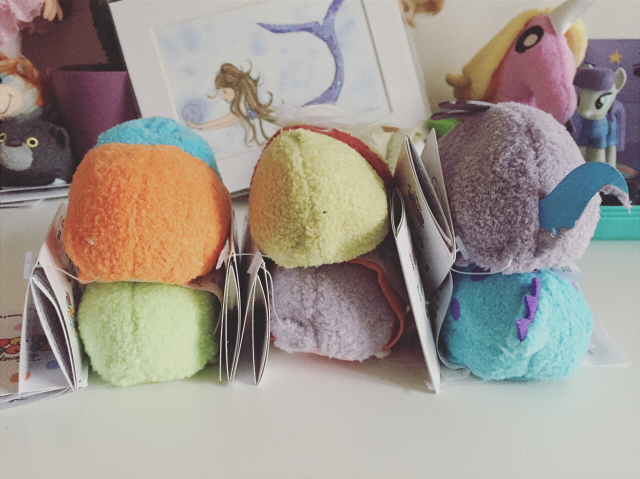 It's the first full collection I've bought. They're all just so cute. 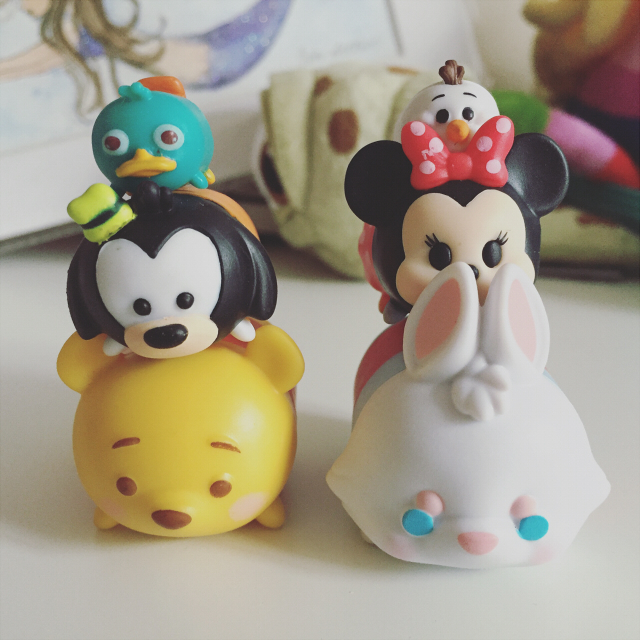 Who is your favourite? 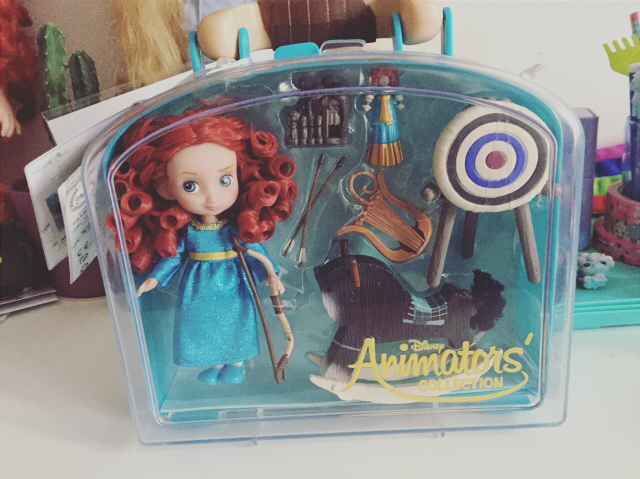 Finally I added to my Mini Animator Doll Playset collection and got Merida. I believe she was only added to the line recently and her whole set is just gorgeous. I think it might be my favourite. 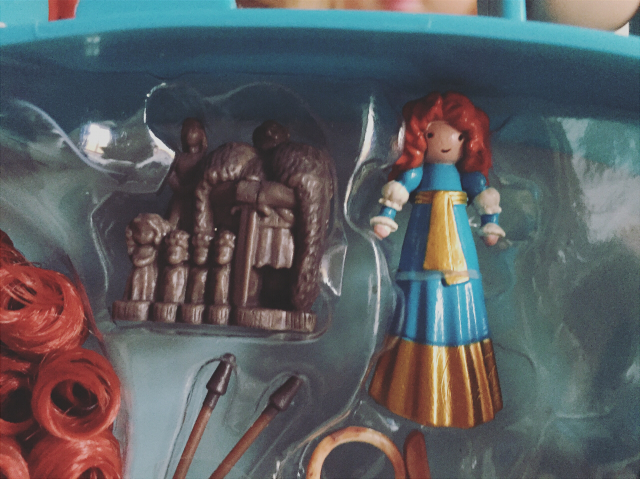 There's a lot less glitter than the other playsets I have, which I believe just makes it look a lot better quality. I love the rustic feel to all of the items. However, there is still glitter in her dress but that doesn't bother me. I'm keeping this set boxed so that's why the photos are as such. 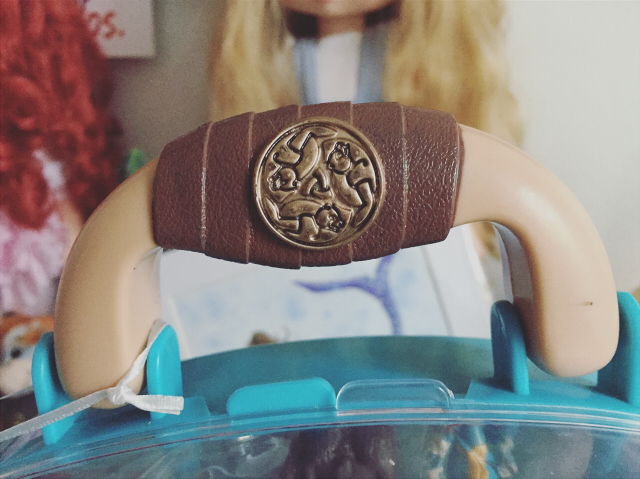 I particularly love the detailing on the handle of the box the playset comes in. 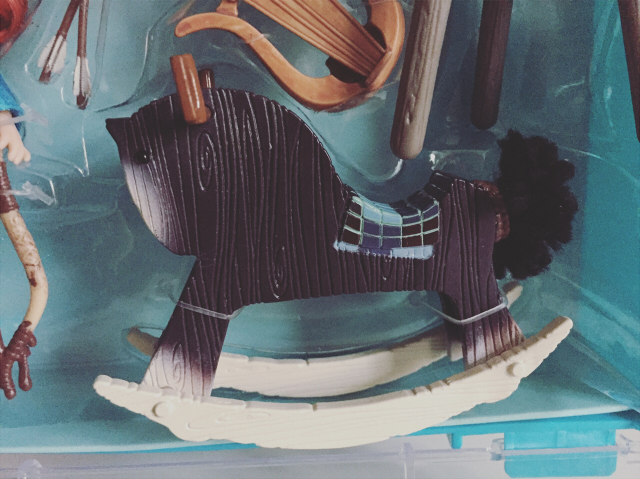 Below are some photos of the different items that came along with the set. 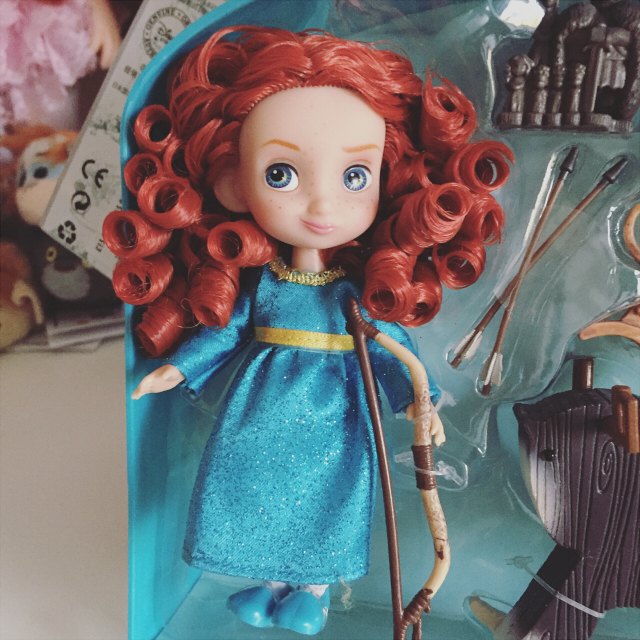 I just love Merida's hair, her cheeky expression and her freckles. I don't even think I can pick a favourite item that came with her. 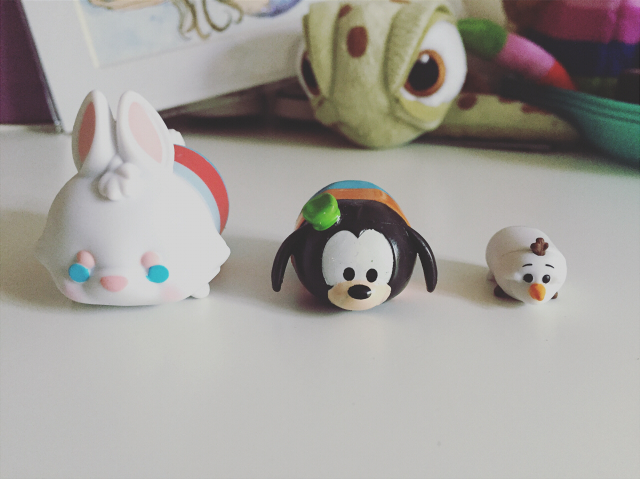 And that's what I got in my Disney haul. 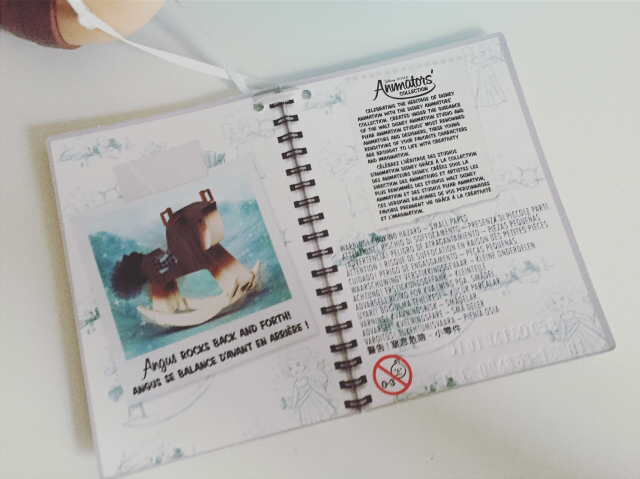 I can't pick a favourite item this time. They're all too cute. 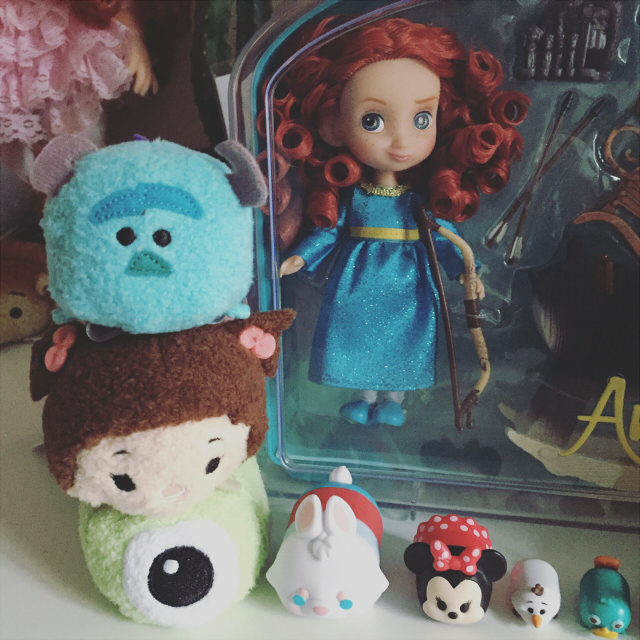 I really hope to add to my Tsum Tsum figure collection soon. 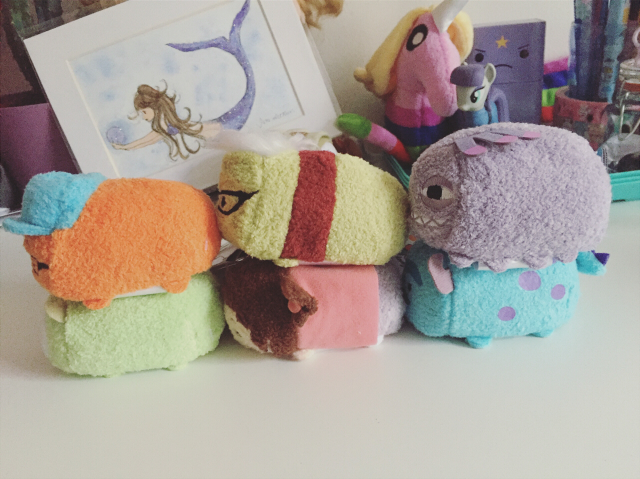 I also want more plush Tsum Tsums. 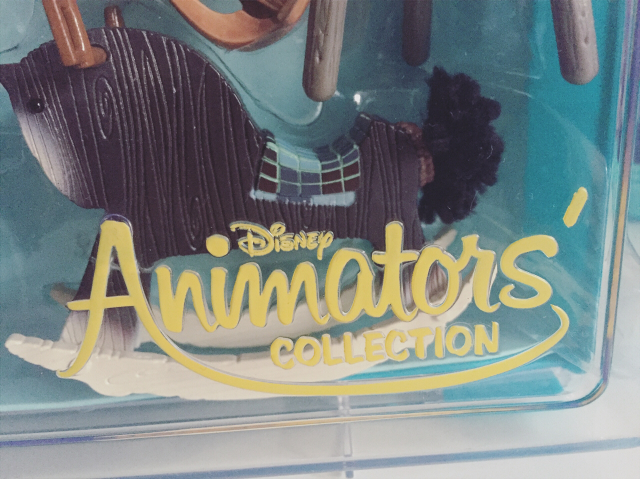 I hope they bring out a Lilo Mini Animator Doll Playset. 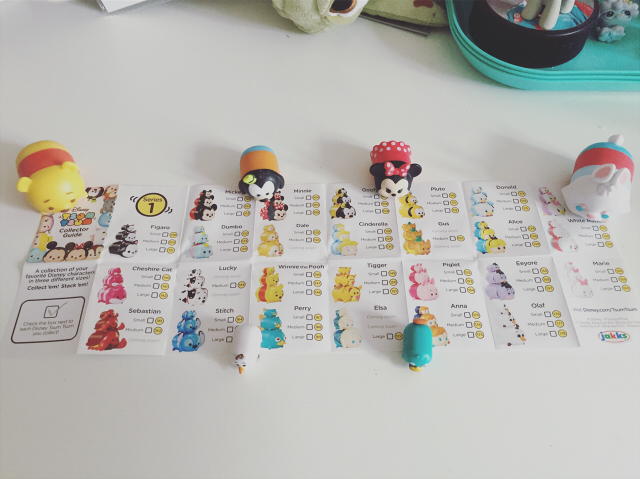 What a little pretty toys!!!! 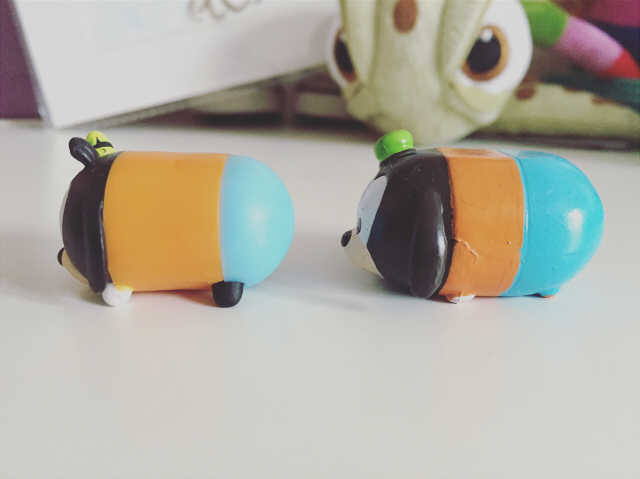 They are very cute. I love them.